If you use Median Line Analytics to identify the start of a significant trend, the trade entry points can often be determined where risk is minimal. The simplest corrections use P0-P1-P2 to help find P3 (where P3 is the end of a simple correction). 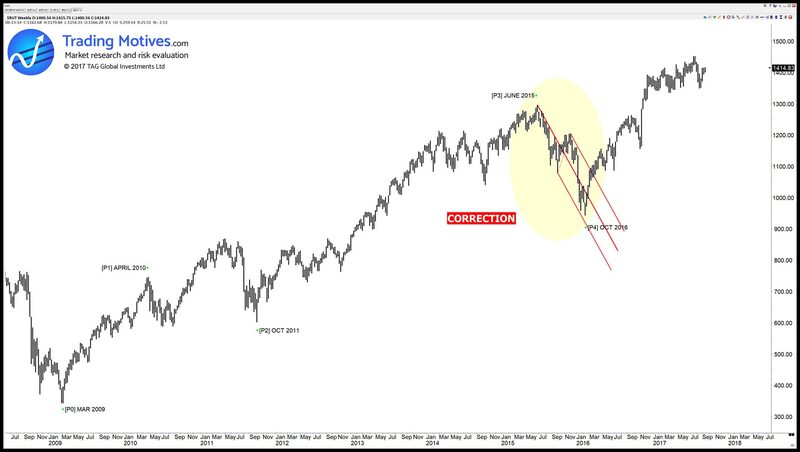 This is an example of a correction that occurred against a strong uptrend. This type of correction (zigzag) was also tradeable in this timeframe 9and lower), it is counter-trend and the bigger trade commenced when the correction completed at red P3 (which was P4, or wave 4, on a larger timeframe). This daily chart shows more detail about the correction and the changes in price behavior as the correction completed. While elements of the corrective structure (zigzag) were tradable in their own right, the bigger position trade began when P3 ended. This was P4 on the weekly chart. Price has risen strongly up from P4 and this is an excellent tradeable trend. 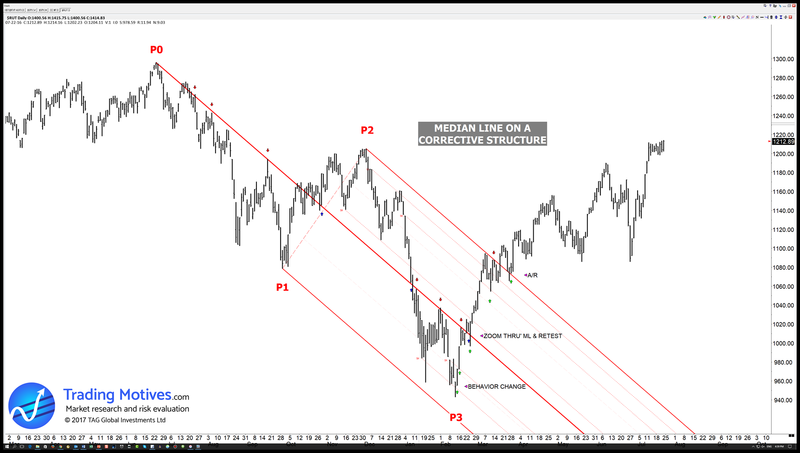 TradingMotives has developed methodologies to apply Median Line Analytics to all corrections defined using the Elliott wave principle, including complex combinations.